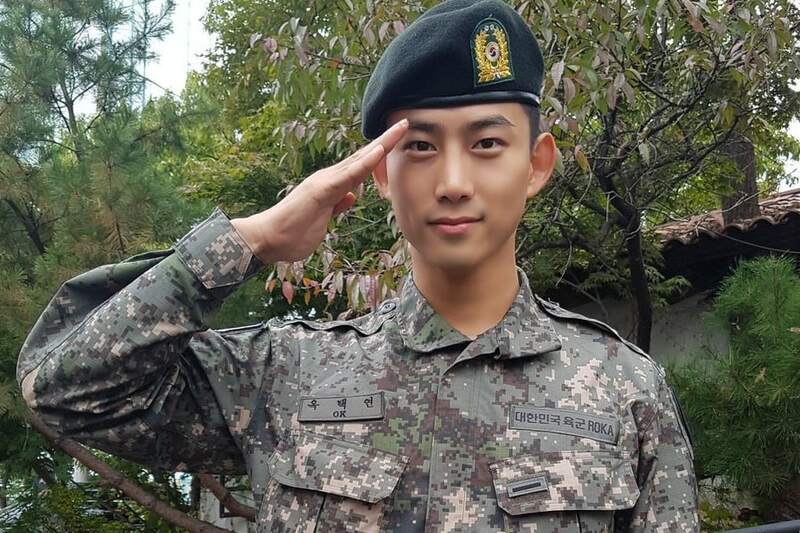 It’s not easy for celebrities to gain male fans in the army. 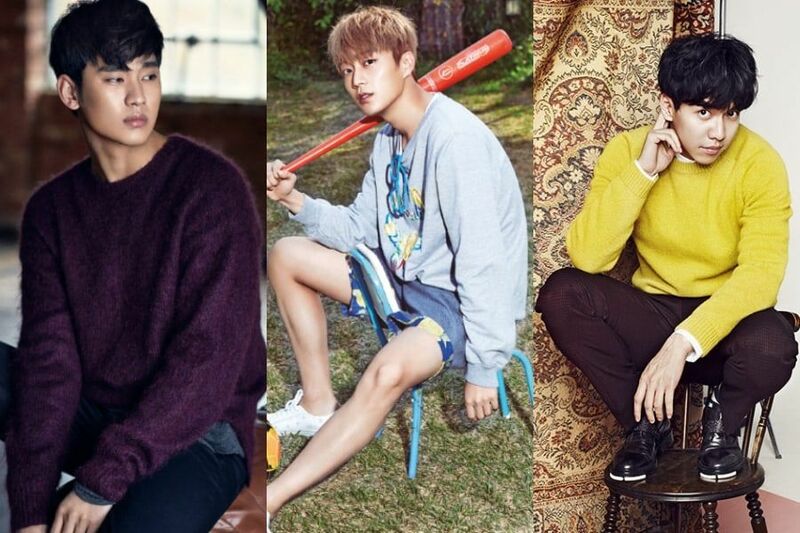 However, some male celebrities gain many male admirers for their outstanding conduct while serving in the military. Due to their passion and hard work, not only did they get promoted in the military but they also gained fans of all ages. 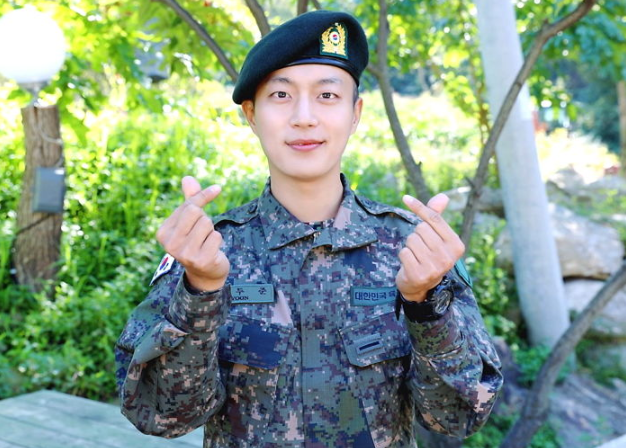 On April 5, Around Us Entertainment revealed that Yoon Doojoon had been promoted to corporal early for outstanding conduct. On April 1, 2019, he was promoted to corporal three months earlier than scheduled. He is currently serving as an active duty soldier at the 12th infantry division’s military police department after enlisting on August 24, 2018. 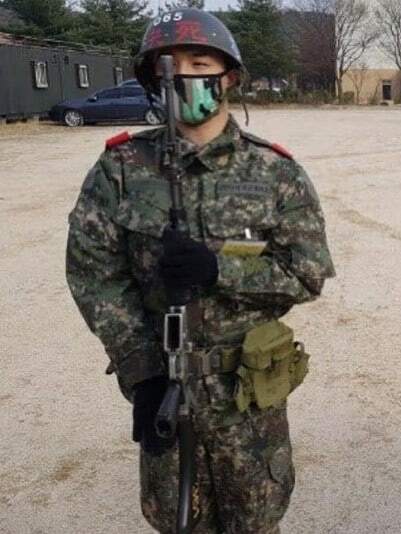 Taeyang is currently part of the 5th Artillery Division. 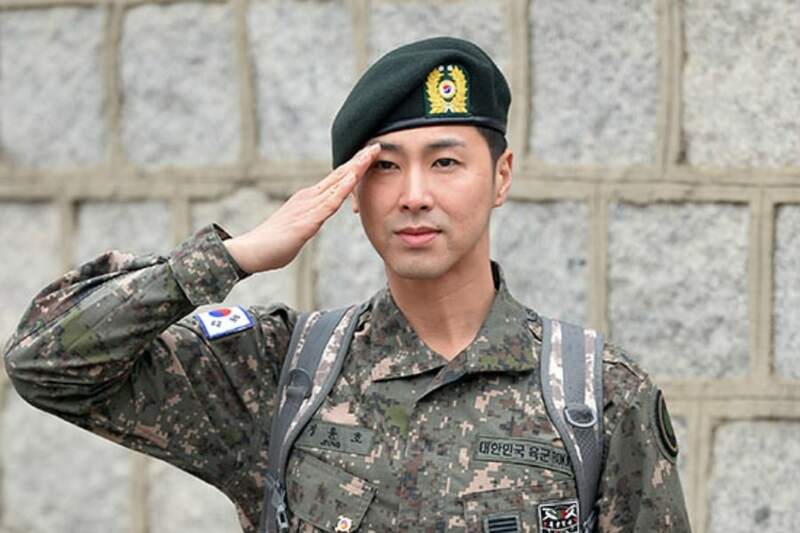 He is fulfilling his military duty while performing his hit songs in various military festivals. 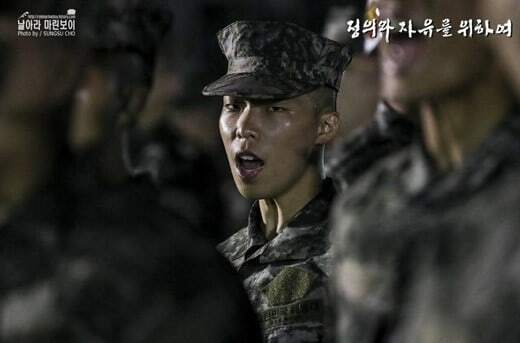 Many people smile with satisfaction when they watch soldier Taeyang turn a military event into his personal concert. In September 2017, Lee Chan Hyuk enlisted in the Marine Corps and recently reunited with his sister Lee Soo Hyun for Akdong Musician’s fifth debut anniversary. In the photos that were released during his military service, he suits the army uniform more than anyone else. The military song he made during this time has become an official song used in the army. Another star known for his passion in the military is Lee Seung Gi. 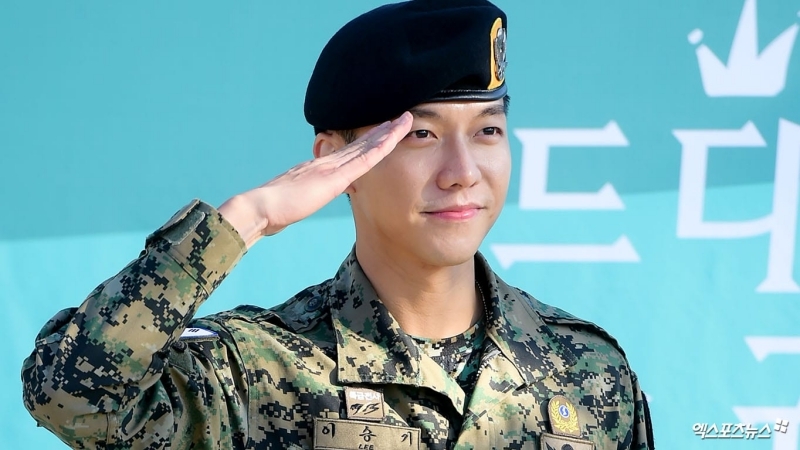 After enlisting in the army in February 2016, Lee Seung Gi served for 21 months in the Special Warfare Command unit and was discharged on October 2017. He came back with a strong physique that pleasantly surprised his fans, and for a while on SBS’s “Master in the House,” he couldn’t stop talking about the military. 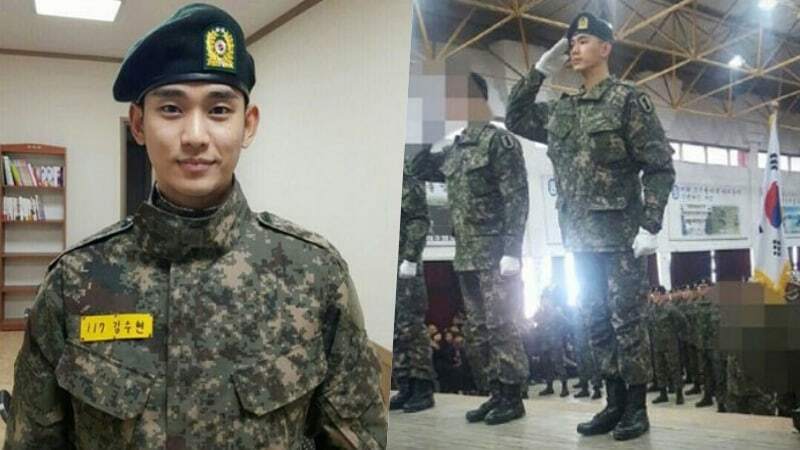 Actor Kim Soo Hyun, who is currently serving in the first Reconnaissance Battalion, went out of his way to serve as an active duty soldier. Due to a heart condition for which he has received surgery in the past, Kim Soo Hyun was originally assigned to public service duty after his physical examination by the military. However, the actor requested to be re-examined and he was eventually cleared to serve in active duty. Just like Yoon Doojoon, he was promoted to sergeant in advance for his outstanding service. 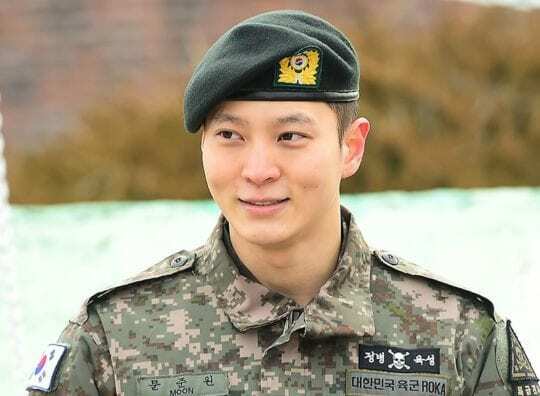 Actor Joo Won decided to serve as an active duty soldier although he initially passed the examination to serve in the police department. After receiving exceptionally high marks during his basic military training, he was promoted to assistant instructor in his division — the assault battalion, which is part of the 23rd infantry regiment of the skeleton unit. He was discharged earlier this year on February 5. 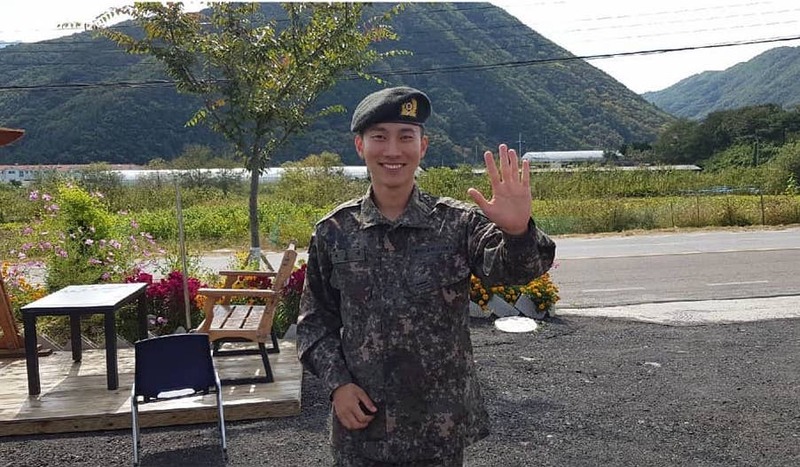 After enlisting in August 2018, BTOB’s Eunkwang impressed during basic training by receiving first place out of all the recruits in overall results. He was assigned to Special Warfare Command — where he’ll serve as a soldier in the special forces —, a title given to military personnel who have received outstanding scores in shooting, physical endurance, mental endurance, and combat skills. Can you think of any more male stars who showed great service in the military?